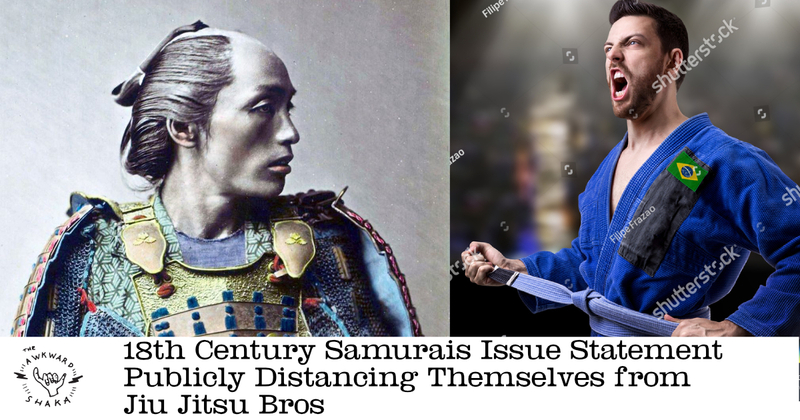 In a shock move this morning, the samurai of Japan, historical figures who faded from existence in the late 19th century, have publicly requested modern day jiu jitsu fighters to stop comparing the two groups. The battle between the two groups rages on. There is much more to being a Samurai than fighting in modern day sports matches. Reblogged this on Ground Dragon Martial Arts.